Built on a machined aluminum fram and featuring a precision rifled barrel, crips trigger and fully-adjustable sights, the Browning Buck Mark is proudly made in the U.S.A.
Receiver: Matte Black finished alloy. Barrel: 5 1/2" alloy sleeved, matte black finish. Grips: Ultragrip RX ambidextrous grips. 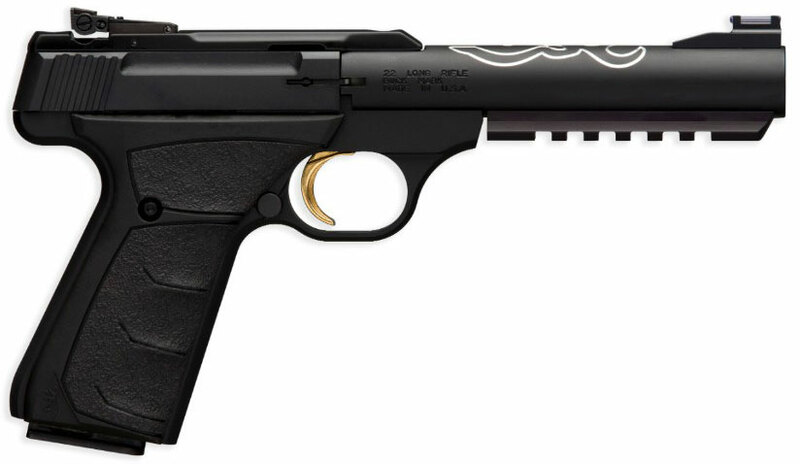 Features: Pro-Target adjustable rear sight, TRUGLO/Marble Arms fiber-optic front sight.